Jonathan Castle's Blog | Cars, supercars, travel, racing, food and Dubai. It's a tough job, so I'm glad I get to do it! To celebrate the 10th year of its production, Harley Davidson have launched a new Night Rod Special. alpha went for a ride. Launched in 2002, the original V-Rod heralded a new era for Harley-Davidson, and a bold attempt to broaden its product range away from the iconic air-cooled V-twin engines. The V-Rod was an uncompromisingly modern machine, with an engine designed by Porsche, no less, and with little concession to tradition. Its 1130cc 60-degree Revolution® V-Twin engine was the first Harley-Davidson production engine equipped with overhead cam shafts and liquid cooling, and came with a high 9000-rpm redline. Fast forward 10 years, and feast your eyes on the 2012 Night Rod Special. Like all 2012 V-Rod models, it is powered by the latest version of the Revolution engine, now taken out to 1250cc, liquid-cooled and with dual overhead camshafts, four-valve cylinder heads and Electronic Sequential Port Fuel Injection (ESPFI). Helping you get that power down on the road is an ‘Assist and Slip’ clutch, five-speed gearbox and a high-performance carbon-fiber drive belt. Tyres are Michelin Scorcher radials, including a massive 240mm wide rear. Brakes are Brembos, with anti-lock braking system (ABS) fitted as standard. There’s even a Smart Security System which means you can leave the key fob in your pocket. New for 2012, Harley have given the Night Rod Special a new tapered tail section, lighter wheels, and improved ergonomics which mean less of a stretch to both the rider footpegs and handlebars. Inverted front forks and retuned rear suspension enhance ride and handling. One thing you can never ignore is the length of the V-Rod’s wheelbase. The bike is 2.44 metres long, and the front forks are kicked out a long way forward for improved straight line stability. This has an interesting effect in the bends – coupled with that massive rear tyre, the whole bike seems to pivot, not from the tyre contact patch at the bottom of the wheels, but from an imaginary pole through the steering head and saddle. It takes some getting used to, but when you do, given a degree of commitment, the V-Rod will corner as hard as you dare to push it. It’s not a European sports bike, for sure, but just like their car-making counterparts, America seems to have discovered corners. Partly this is due to the stretched forward riding position. For me, the controls were still quite a reach and took a while to become familiar, but again, there’s no question about their effectiveness when you want to pull out and pass someone. There’s instant grunt all the time from that potent engine, and it is only the pressure of the wind on your chest that reminds you just exactly how much poke this thing has got. Not much will stay with it in a straight line, that’s for sure. 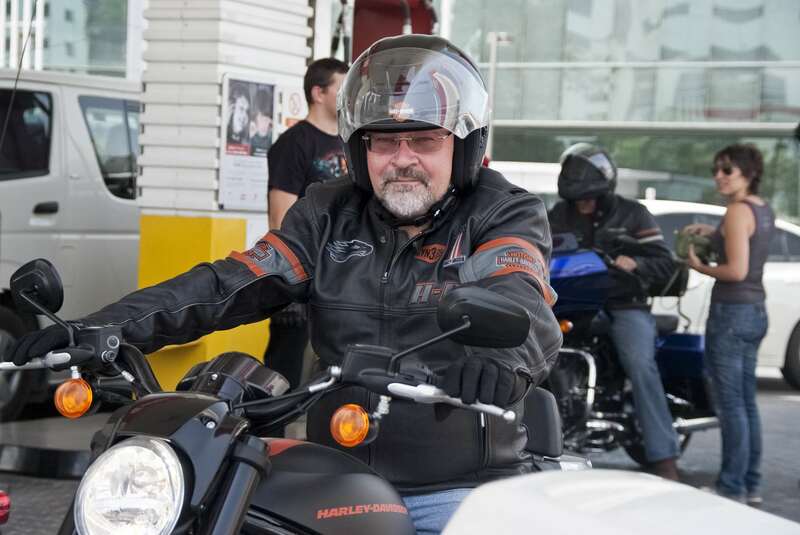 What Harley Davidson have never lost sight of is the very direct and mechanical nature of the experience. Despite the fact that the engine is rubber mounted, and the use of a high-tech drive belt, you can feel every single beat of the engine through the handlebars, seat and footpegs. The tiny little nacelle over the headlight is there for mainly decorative purposes, so you feel the full force of the wind in your face. The 72-degree angle of the V retains Harley’s trademarked rumble, and the twin exhausts mask nothing of the punch of the engine. 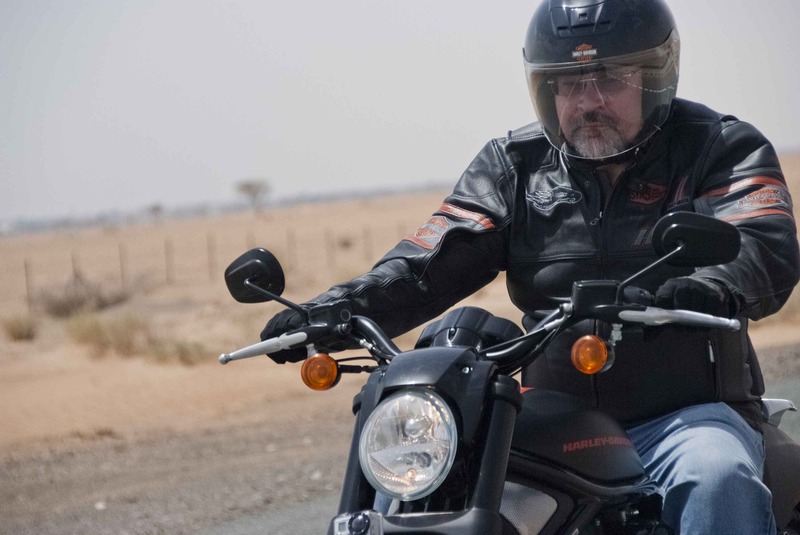 Riding the V-Rod is a visceral, intense onslaught to all your senses, one long continuous explosion of noise and vibration punctuated with the heat of the sun and the smell of the desert. It is thrilling and totally absorbing, and the world shrinks around you as more and more of the trivialities and worries are stripped away, fluttering in your wake like discarded tissues. Eventually, nothing exists but you, the bike and the road. The noises in your head are drowned out by the noises around you, your mind empities in order to concentrate completely on the here and now. All that matters is the next mile, the next bend, the next hour. Of course, it is also a relief to stop and catch your breath. Some of the bikes we are riding with have fashionable peanut tanks, but they only hold enough fuel for a hundred kilometres or so, and stopping is a regular necessity, a chance to take your head out of the goldfish bowl and to work some blood back into your vibrating white fingers. God, I had forgotten how intense motorcycling can be. But that is the attraction. Few enough people ever experience the rawness and intensity of a long ride, and fewer still do so in company. It is the camaraderie of shared experience that bonds all motorcyclists, and it was a privilege for me to represent alpha in such company. 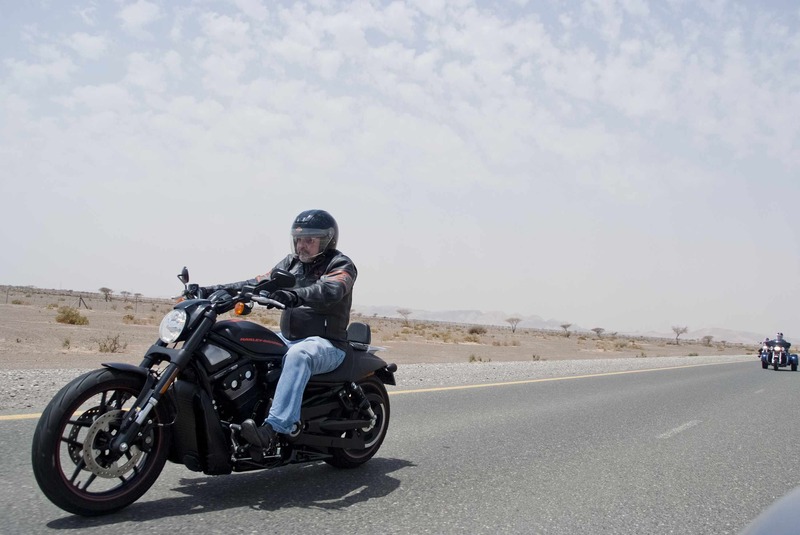 The V-Rod is very far from being a traditional Harley Davidson, but it has all the qualities, power and performance to fully justify its position as a modern version of the marque. Time, cars, mortgages and responsibilities may well change your priorities in life, but this remains true. Once you become a biker, you are a biker for life. No matter how long it is since you last went for a ride, you never forget. Never. Rubber-mounted, liquid-cooled, 1250 cc Revolution® engine with Electronic Sequential Port Fuel Injection (ESPFI); 125 hp @ 8,250 RPM; 82 ft. lbs. (111 Nm) @ 7,250 rpm. Straight-shot factory exhaust with brushed finish dual mufflers; black end caps and exhaust shield. Black, split five-spoke cast aluminum wheels are 1.4 kg lighter than previous wheels. Tapered tail section with flush-mount LED tail light. Pullback handlebar places controls three inches (7.62cm) closer to the rider. Reduced reach, forward-mounted rider footpegs. Two-up seat with custom stitching. Stylised black speed screen visor. Unique graphics, including V-Rod 10th anniversary emblem. Black powder-coated engine with black covers. Blacked-out frame, handlebar, front fork, triple clamps and covers. Racing stripe on airbox and tail section. Sport front fender with painted brace supports. 240 mm wide rear tyre. Simple question – how many different types of engine have you had under the control of your right foot (or occasionally, right hand)? At my last count, I reckon something in the order of 26 in various forms of road-going transport. That doesn’t include such exotics as an inline, horizontally opposed paraffin-burning two cylinder sterling engine in a yacht belonging to a friend in Scotland, or the massive single cylinder steam-driven traction engine I was once fortunate enough to steer. Called Robert the Bruce, that one was. The thought was prompted by a conversation with a friend here in Dubai who accidentally bought three extra motorbikes, and one of them has, for me at least, a completely new configuration of engine. Before I tell you that, though, here’s what I do know. Single cylinder engines – 2 stroke (various mopeds) 4 stroke (my first proper motorcyle, an old 250cc BSA C15. Do I add a sloper version, for an old 600cc Panther? Twins. Lots of twins – 250cc Yamaha RD250 two stroke, same size Honda CB four stroke, horizontally opposed (BMW), lateral V (Moto Guzzi), in-line V (Ducati, Moto Morini, Harley, Matchless), inline vertical (Sunbeam), and inline opposed (Douglas). Triples – 2 stroke Kawasakis KH500 and KH750 (both of which tried to kill me), 4-stroke BSA and Triumphs, a Yamaha XS 750 and a weird one, a Laverda Jota, where two of the three pistons rise together whilst the other goes in the opposite direction on its own, making it a sort of twin-and-a-half. Countless 4s, including my own Z1000 across the frame, a couple of Honda V4s, a vintage Indian in-line, and both an Ariel and a Matchless square 4. No 5 cylinder motorcycles, but a Benelli and a Kawasaki across-the-frame 6, and a horizontally opposed Honda Goldwing. No V6, though they do exist, nor a V8, though a few early racers did boast these and even more exotic designs. The most exotic though are the rare rotaries, a Kreidler 250 single, and a magnificent Norton twin. I am indeed fortunate there. On four wheels, I can add cars with a cylinder count of 2, 3, 4, 5, 6, 8, 10 and 12. Do I add another category for inline 4, V4 and flat 4? How about air-cooled (Fiat 500 twin, Beetle flat 4 and Porsche flat 6)? Six cylinders in V, straight and flat versions. More Vs, in both 8 and 10 cylinder versions. Oddly, it’s the 12 cylinder motors that offer the most variety – V (BMW, Jaguar), flat (Ferrari) and W (Bentley Continental). Bugatti’s W16 remains an unscratched itch, sadly. But what of that odd Honda – it’s a new one to me, a 250cc two-stroke triple, with one vertical cylinder and two forward facing ones. Not even sure what to call it, but I’m pleased to put it on the list. How many more can you add? Where to begin? I love food. Have done since I first decided to cook the family meal when my mum went back to work whilst I was still in school, but as I got home an hour before she did it seemed like the right thing to do. She blessed me with the fundamentals; how to make a white sauce starting with a roux and not get it lumpy, how to assemble a casserole or stew of any sort, the importance of timing so that all the elements of a meal arrive on the table cooked, hot and at the same time. These skills kept me fed through university, where I could make a ham hock and a bag of lentils provide nourishment for most of a week, if not a great deal of entertainment. And in those simple meals, though I didn’t know it at the time, were born my basic philosophy of food – nothing from a packet. Even then, I was fairly sure I could make a better tasting meal from the primary ingredients than ever came from a supermarket microwavable tv dinner tray. And from those days to these, the simple act of preparing food for one person, my wife, or many, gives me pleasure, peace and escape in equal measure. Who has time to worry about the world when you’re trying to dice a perfect brunoise? Give me a sharp knife, a bag of muddy carrots and a chopping board any day over a pre-prepared steam-in-the-bag excuse. Fast forward to now. I first encountered SALLY2HATS through the medium of Twitter, and later met in person through shared professional interests. I rashly suggested that I would open Dubai’s first pop-up restaurant, and she’s been quietly but persistently reminding me of this notion ever since. Thank you, Sally, it is a mission not yet fulfilled. So when Sally announced that she was participating in a Dubai version of Come Dine With Me, I was intrigued. So much so, that I invited myself to the party, and to my astonishment, she and her fellow bloggers and contestants were gracious enough to include me in their adventure! Interloper maybe, but I was in, and now the onus was on me to come up with the goods. But first, lunch. First to put her food on the block was another S, The-Hedonista. It was with a significant degree of trepidation that I rang the doorbell, but was met with a broad smile and warm welcome and a swiftly proffered glass of wine. Slowly the realization dawns – we’re all interested in food, its preparation, presentation, and pleasure, and so the conversation quickly turns to discussion of the trials of sourcing ingredients, of concerns for food miles and local availability, of the challenges we all face as chefs. In H’s case, this meant substituting fresh tuna for her intended salmon, as she wasn’t happy with the provenance of what was on the slab that morning. And in that, I think, lies one of the values I cleave most tightly to. I don’t, as a rule, create a menu for a meal in advance, and then stick slavishly to it like so many of the contestants on the televised version of CDWM, though of course they may be obliged to do exactly that by the program makers. No, instead, I like to go to the market, to the shops, to the fishmongers in the morning, to see what they have that day that is fresh and special and delicious, and then build a menu around that. So for my own menu later in the game, I wanted cod, but all the man had was fish that had come in on Wednesday previously, so I came away with this morning’s hammour instead. The other two contestants arrived – A Anja’s Food4Thought and a third S, SipsAndSpoonfuls who completed the formidable array of talent displayed. OK, confession time. I recently passed one of those ‘milestone’ birthdays, and it’s not a good one. At least, it would be if I were a cricketer, but there’s no easy way to look at this except as half way. From here on in it’s all downhill. The jokes about receding hairlines I can take. After all, it’s on my grandfather’s side, and he was as smooth as a billiard ball. I could be happier if my body wasn’t being so boringly typical – “at such-and-such an age, most men start to accumulate belly fat and lose skin tone”, “by 40, your eyesight begins to deteriorate and you may need reading glasses”, and so on. Yada yada yada. But it’s all true. I am losing my hair, and what’s left is showing a dispiriting amount of grey. I don’t suffer from any significant illnesses, but am definitely showing the effects of a sedentary job. And my great passion, very clearly, is good food and better wine. Like most people, I have dutifully paid my gym membership every month, and wondered why the only thing diminishing was my bank account. I mean, I tried, I really did. As a professional writer, I was able to make time and do the physical jerks planned out for me by my personal trainer and mentor. Three times a week I strained and sweated with the best of them, on bicycles, treadmills, step machines, rowers and weights. I knew my way round a Nautilus, and where the free weights were kept. I did aerobics, step and circuit training. Worse, every Tuesday and Thursday morning I even joined the stretch and tone class with the, shall we say, more ‘mature’ members of the club. And they were still more flexible than me. It didn’t last. You see, I’m a sort of slow-burn character. I will climb any mountain, but don’t ask me to run for a bus. In football, I was always the goalie, and in cricket the wicketkeeper. My favourite sports are skiing (lift takes you up, gravity brings you back), sailing (all that free wind) and absolutely anything with a petrol engine in it. The problem was that I simply don’t enjoy that kind of high impact physical exercise. You spend 45 minutes working up a good sweat, then two days suffering the consequences and hobbling around like you’ve just gone three rounds with Mike Tyson. Walking up stairs is hard, down near impossible. And on the third day you go back and do it all over again. Madness! And yet, when I came to Dubai one of the first things I did was walk everywhere. From my base near the Ramada in Golden Sands, I walked to Satwa. And back. To Deira City Centre. To the Gold Souk, to Lamcy, to Wafi City, to Sheikh Zayed Road, to the beach, to Shindaga, all over the place. Colleagues in the office would shake their heads in disbelief when I told them where I’d been over the weekend. Of course, in time I acquired a car, and the long walks stopped. Got into the habit of taking the lift instead of the stairs. Spending all day hunched over a keyboard, with only the occasional stroll to the kitchen to make a cup of tea. Yet all the time there was this little voice saying I should take a bit more care of my body, get some exercise before it seized up completely. And then I met Nelson, and everything changed. In an hour and a half, my body was worked, stretched, contorted and relaxed into more positions than I had ever thought possible. And the best bit, by far, was the fact that at the end of the session, I felt fantastic! Not sore and exhausted, but refreshed, energized, full of life and ready to take on the world. It was a revelation. It was yoga. Since that momentous morning, I have been a regular pupil of Hari and Sudish, yoga masters at the new Breath & Health Alternative Medical Centre on Al Wasl Road. Every Friday or Saturday morning I’m there, working through a series of asanas and pranayamas, rediscovering muscles and movements I had long forgotten. It doesn’t matter how far I can or cannot twist, it is the attempt that counts. Hari and Sudish are both improbably supple, and so when they say ‘simply fold forward and touch your forehead on the floor’ they can do it. We simply fall about, bemused by the improbability of it all. That’s what 3 decades of sitting at a computer does for you. And yet… From quite early on, I had an inkling that there is a very great deal more to this yoga stuff than merely trying to wrap your arm around your knee and grab your ankle with the other hand without falling over. And so it was, as I learned from Director of Yoga, Mona Hydari. It turns out that our regular morning sessions (laughingly referred to by teachers Sudish as his ‘happy class’ because we can’t help but crack up at some of the situations we get into) are in fact one part of a much larger system, known as the ‘Eight Limbs of Yoga’. These are limbs three and four, Asana and Pranayama, postures and breathing, fascinating in their own light but which make greater sense when considered as part of the larger picture. So, what exactly is yoga? I’ll leave that to Mona. In fact, it is entirely up to you. There are as many reasons to practice yoga as there are people to enjoy it. For me, it began as a simple quest to regain a little suppleness lost as a result of a sedentary lifestyle. Vanity? Curiosity? Of course, and more. But I suspect, like many, with practice comes insight, and the more I learn, the more I realize how much more there is to learn. Each little breakthrough, every little bit of progress, another asana achieved and posture perfected reveals a little more, pulls the curtain a fraction further back to reveal the riches beyond. For me, yoga is something you start, but never finish. I know I will be enjoying it for the rest of my life. Andy Murray says it was Bikram or “hot” yoga that gave him the strength to beat world number one Roger Federer at the Barclays Dubai Open. Hot Shoots – how does your desert garden grow? The furniture’s in, most of the boxes are unpacked and the telly works. Congratulations on your new home! Like most people here in Dubai, the patch of desert surrounding your new nest hardly deserves to be called a garden, but somewhere out there under the sand and builder’s rubble is the makings of a cool, green, shady place, capable of producing wonderfully scented flowers and abundant crops of your very own home-grown vegetables. It may seem a daunting prospect, but there are some very simple and effective steps to take and start enjoying the fruits of your labours. Plants need three things to thrive – sunshine, water and nutrients. Sunshine we have in abundance (often too much, in fact), water and nutrients we have to add. So where to begin? 1) Planning. It’s always better to start with the end in mind, and time spent in thinking about your garden, how you will use it and what you want from it will always be repaid. It’s a good idea to start with a mug of tea and a sheet of paper, to sketch out roughly what you expect. Depending on the size of your plot, now’s the time to think about such things as where to put the barbeque, is there space for a pool or water feature, where should you plant vegetables and so on. This initial drawing should give you a framework for your own efforts, and is an invaluable tool to use when briefing landscaping specialists. You don’t have to do all the hard work yourself! 2) Water. Given our climate, water is an essential component of successfully growing anything here. It is a precious resource, and one to use carefully for maximum benefit. There are three things to consider – application, conservation, and quantity. How are you going to water your garden? If you’re starting with a bare plot, it’s an ideal opportunity to install an irrigation system, either throughout the whole garden, or in key areas where you intend to grow particular things. Some form of control system is essential, and thereare plenty of relatively inexpensive electronic timers available in DIY stores and larger garden centers. Next is conservation – watering early in the morning and later in the evening helps to minimize losses through evaporation. Mulches and ground cover materials are also useful in keeping the water in the ground where you want it, and there are various materials you can incorporate into the soil to trap and hold moisture there as well. Finally, quantities. It may seem obvious, but the bigger the plant, the more water it needs. Large trees may be wonderful for shade, but the can consume many hundreds, if not thousands of litres of water. Plan carefully. 3) Nutrients. Desert sand is actually surprisingly rich in nutrients, but successful gardening depends on improving the quality of your plot by incorporating as much fibre and organic material as you can. The more you do, the better your results will be. One of the most practical and effective ways to do this is by composting. If you don’t have the space for a decent compost heap away from the house, choose the modern option, an indoor composting bin called a Bokashi. This is basically an airtight container which you fill with organic waste such as vegetable peelings, and these are then broken down by anaerobic digestion using special enzymes. There’s no mess or smell, and the results when dug into your garden can be truly spectacular. Much better for the environment than sending your waste to landfill. 4) Shade. 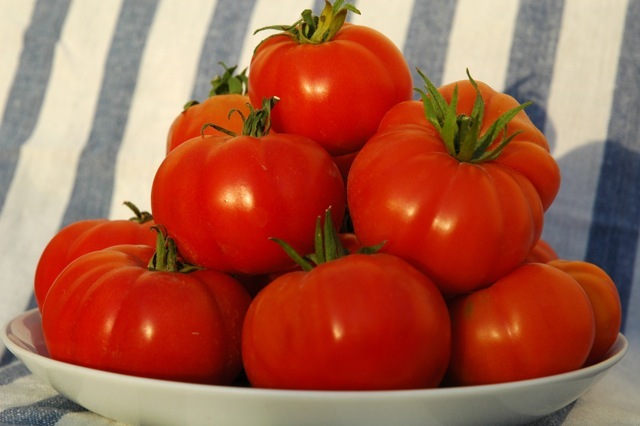 The UAE gets so much sunshine that it is almost impossible not to grow things successfully. But you can certainly have too much of a good thing, and most plants will shut down and go into a sort of hibernation when the temperature gets too high. Think of it as the opposite of winter. One of the simplest ways to protect your garden is by providing shade, either with screening trees and shrubs, or by shade sails and awnings. Provided you keep them watered, most plants will survive through the summer, and bounce back to life in the autumn when temperatures drop again. 5) Containers. If you’re growing things in pots, extra care needs to be taken. Pots can get very hot very quickly, cooking the roots of your plants, and they also tend to dry out surprisingly fast. If you can, move any container-grown plants to a shady spot or the northern side of a wall, and do use a good mulch on top of the soil to trap as much moisture as possible. 6) Kitchen Gardens. One of the greatest pleasures you can have is an abundant supply of fresh herbs to cook with. Most do well here – basil thrives, and rosemary, mint, thyme, zaatar, oregano, lemongrass and sage all prosper given enough water. Even tender coriander is possible if you can stop it from bolting, and bay trees can survive if reasonable shaded. When you’re planning your garden, it’s a good idea to keep your herbs in easy reach of the kitchen. That way they get used! 7) Fruit and veg. Think tropical. Most shrub and tree-borne fruit do well here – figs, mangoes, papayas, pomegranates, all citrus fruits, and dates obviously. 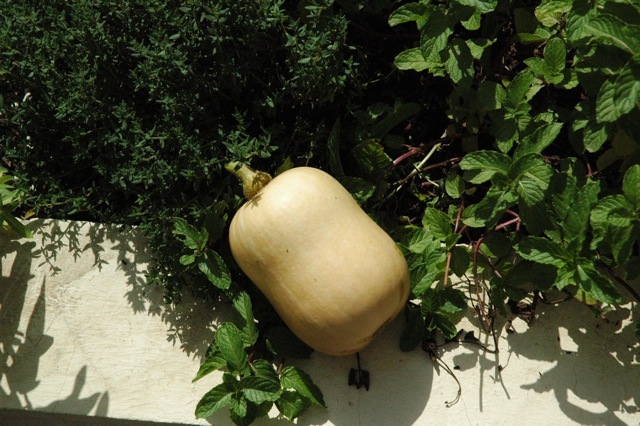 Squashes and melons love the warmth, but need a lot of water. Soft fruit such as strawberries and raspberries are possible but more problematic. 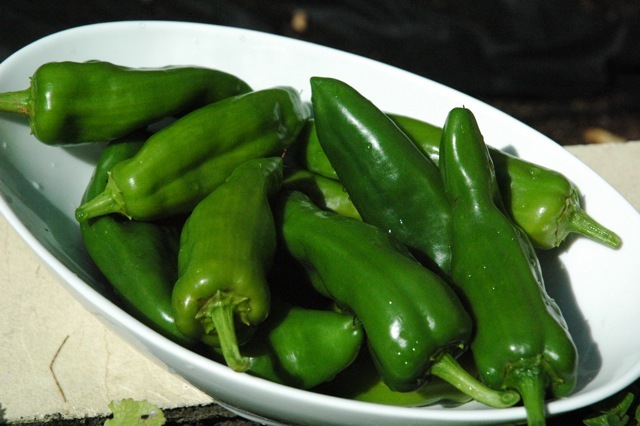 Vegetables follow a similar trend – beans love the weather, as do chillies, aubergines and cucumbers, and tomatoes do well. Lettuce and other leafy greens prefer the cooler months, but grow so fast you can have an almost continuous crop. The best advice, as always, is to be nosey. Look at successful gardens to see what plants do well there, and chances are they’ll thrive in your plot too. And given how good growing conditions are here, it will feel like next to no time before your little patch of sand is transformed into a slice of cool green heaven. This may be the ultimate stealth Audi. Eight months after its announcement in Miami, we’re finally getting a chance to drive the third generation of Audi’s flagship A8, now in Long Wheel Base form, the version most likely to dominate sales in the UAE. Perhaps surprisingly, the big Audi doesn’t make any huge strides in the styling area. Yes, it has gloss black inserts in the huge grille (a design cue first seen in the latest generation Q7), but in reality the A8 most looks like a stretched A6, so strong is the family resemblence. You’re going to have to specify the first-ever all-diode LED headlamps (standard on the W12) to make sure that the car you’re very rapidly catching up with knows just what’s in their mirrors. Because that’s the key to the big A8 – it is very fast indeed. Think 0-100kph in less than 5 seconds, and a (restricted) top speed of 250kph. Like the previous generation car, the A8 LWB is built using the Audi Space Frame concept, and the extensive use of aluminium results in a kerb weight of fractionally under two tonnes (1,995 kilos) despite all the technology on board. The extra length, all 130mms of it, has gone into the rear, and makes for a truly sumptuous cabin, a rival for anything else on the road and closer than ever to first class air travel. With an overall length of 5,267 millimeters (that’s over 17 feet! 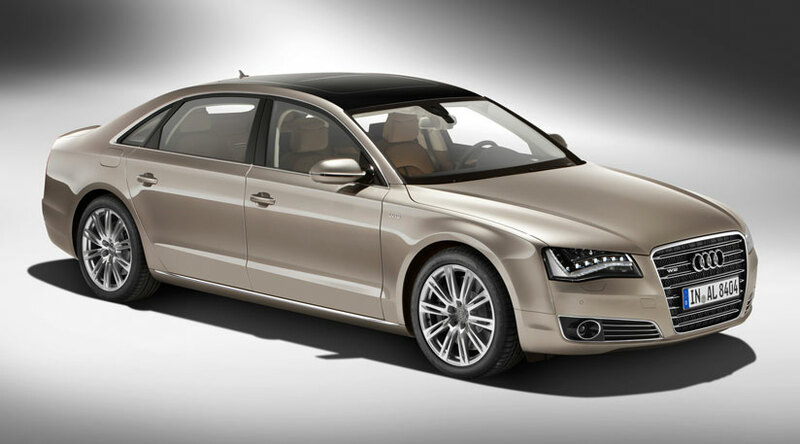 ), the new Audi A8 L is 130 mm (5 inches) longer than the regular version. The wheelbase has grown by the same amount, to 3,122 mm, though the width remains unchanged at 1,949 mm. Height is increased very slightly, up 2mm to 1,462 mm, and Audi boast that their new top model is both longer and wider than its main long-wheelbase competitors. And it is abundantly clear that this car is built around the needs and comfort of its passengers – the rear cabin is a work of art, spacious, luxurious and exquisitely detailed. In this flagship W12 version, there are two sumptuous reclining seats, electrically adjustable every which way, and the seat behind the front passenger even has a powered footrest. Just as well you can move the front seat forward from the back when you really want to stretch out! And that’s not the only trick they can perform – these seats can be supplied with a built-in massage system to soothe a tired exec’s body at the end of another day of corporate stress. There’s a large centre console dividing the cabin, where you’ll find such essential luxuries as a folding table or even a refrigerator. The cabin offers four climate zones, each individually controlled, and the entertainment options are hugely impressive. Two 10.2” LCD creens in the front seatbacks take care of the visuals, whilst Bang & Olufsen provide a 1,400 watt, 19-speaker advanced sound system that produces better quality audio than most home hi-fi. But even the highest flying executive occasionally tire of being chauffeured around and feel the need to be in command, so it’s time to jump into the hot seat and take command of this thing. After all, there are unrestricted autobahns out there to be enjoyed. And I’m glad to report it’s almost all good. Under the hood is a thoroughly tweaked version of the company’s W12 engine, now bored out to 6.3 litres and fitted with the latest version of their FSI injection. Result is power up to 500 bhp (a 50 hp increase over the older version), and full torque of 625 Nm delivered at only 3,250 rpm. But with power comes responsibility, and fuel consumption too sets new standards: only 12.0 liters per 100 kilometers, a 12 percent improvement over the previous version. The diesel variants are particularly impressive, a 3.0 litre six cylinder and a 4.2 litre V8 promising faintly ludicrous figures and CO2 emissions under the magical 200gm/km mark. 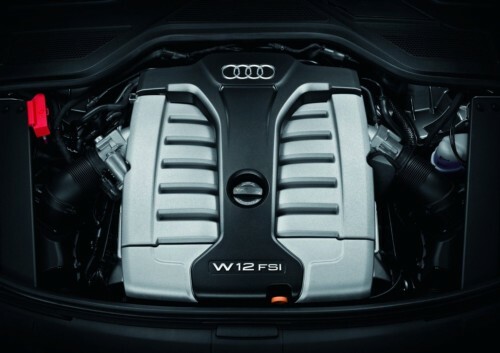 Initially the W12 petrol engine will be the only one available, with smaller capacity V6 and V8 units following in due course. As always, the diesels are unlikely to make it to the UAE “unless demand justifies it”. Putting all the A8 W12’s power down is a full-time Quattro drivetrain, with a new 8-speed triptronic box controlled by paddles behind the steering wheel. Drive flows through a centre differential set to distribute torque 40/60% front and rear for a more overtly sporty feel, though it can deliver 60% to front or 80% rear if the situation requires. There’s a further (optional) sport differential that splits the torque between the rear wheels according to maximum grip. It’s only when you settle into the driving seat that you begin to appreciate just how much technology this thing packs. There’s all sorts of electronic wizardry being deployed to help you, from adaptive headlights that change their beam pattern according to information from Google Maps, to infra-red night vision assistant that identifies and highlight pedestrians that may stray into your path. The cruise control is fully adaptive, and uses a camera to detect whether the vehicle in front is merely slowing down or doing so in order to leave the motorway, in which case the cruise control speeds up instead. All of this technogubbins is controlled through two large monitor displays, one in the dash and another in the centre console, and there’ another neat trick on display. In order to enter a destination in the satnav, or dial a phone number, all you do is ‘write’ the letters on the touch screen with your finger. The system reads back to you what you input to confirm that it’s correct, so you don’t need to take your eyes off the road. On the move, and it is pretty much what you would expect. The big Audi rides superbly on its adaptive air suspension (also integrated with the Dynamic Intelligence system to anticipate changes in terrain), and you can choose between a number of settings controlling ride, engine response and gearbox. The steering is light and not particularly communicative in the ‘comfort’ settings, but gets overly heavy in ‘sport’. Given the Quattro drivetrain grip is never in doubt, and you can carry some prodigious cornering speeds through a bend. It’s less nose-heavy than the previous version, but in typical Audi style, the front will eventually begin to wash into understeer (despite the rear bias of the centre diff). You have to be doing silly things to make it misbehave – it’s a benign handling car that flatters the driver and doesn’t punish mistakes. But rather than being a hooligan, it’s better to back off to eight tenths, and then it’s a splendidly comfortable limo capable of covering a lot of ground very fast. It’s scarily easy to find yourself doing twice the UAE national speed limit on an unrestricted autobahn, and the big Audi is completely unruffled by such unlikely velocities. And at the end of the day, perhaps that’s the key to the A8 – it really is a car to enjoy from the back seat. Here you can recline in sybaritic luxury, surf the internet using the car’s very own wi-fi connection, and plot the making of your next million whilst the countryside around rushes silently past your double-glazed windows. The Audi A8 L W12 is one of those cars that is simply better appreciated from the inside out. Whilst the exterior design and styling are never going to set the heather alight, the fit and finish of the interior, the quality of the materials used, the elegance of the design and the mind-numbing amount of technology available make it a very nice place to be indeed. Perhaps better to let the chauffeur drive after all. In Dubai, I’m not normally a fan of ‘main dealer’ distributors. In my experience, they tend to abuse their monopolistic control of their marques, gouging their customers with overpriced service and parts, incompetent mechanics and dubious working practices. So it is with a mixture of surprise and delight that I can today commend Al Nabooda’s Porsche Service Centre in the highest terms. I had managed to puncture a rear tyre on the Boxster, and encountered problems removing the wheel. (Blame previous incompetent tyre-changer who damaged a part, but then concealed the resulting problem rather than explain it to me.) Off to my usual friendly tyre shop, Fancy Tyres behind Speedex, but for once they were stumped. So too were the other local independents I would normally turn to, and the only possible avenue was a trip to the dreaded ‘main dealer’. Fully expecting expense and disdain, I was instead met with a smile, and genuine help. The guys behind the counter in the spares department solved the problem, got me mobile again, and didn’t charge me a single dirham for the process. I was confounded. So, this post is a recognition of service above and beyond the call, and a wholehearted vote of thanks to a team who completely reversed my opinion of their garage. Well done, Al Nabooda Porsche! Doesn’t take long for the wheels to come off again! Got hung up in their endless call system trying to speak to a real spares person, only to be given a number to call direct (why not put that number on the website???). Quoted almost exactly double the UK price for the part I need. Ho hum.